The directors of STC and IBSF have wealth of knowledge in the construction business. A combination of 60 years between the directors and further years through the managing team. Our company is an independent companied based in Southport, Merseyside and we have a joint partner with the company IBSF in Sri Lanka. 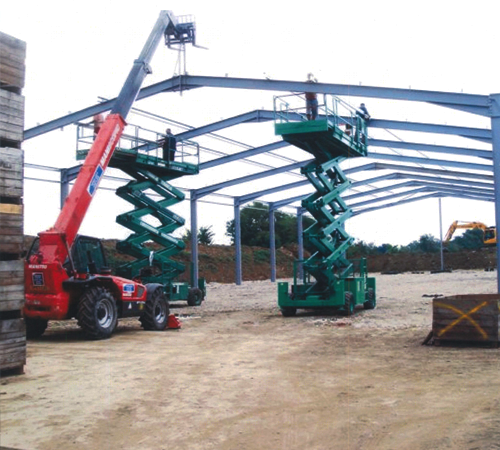 We focus on providing a cost-effective and high-quality construction service across the whole of the UK, and the rest of the world for manufacturing both Industrial and Agricultural Steel Framed Buildings, in Hot Rolled and Cold Rolled Steelwork. The company is an ISO 9001:2015 System Certified Company and all our buildings adhere to the current CE Legislations with a full set of BS Calculations, to either BS5950 (Industrial) or BS5502 (Agricultural). Cladding panels are offered in numerous shapes and sizes, as well as an assortment of materials. We have worked hard in obtaining a reputation for having a dependable quality and reliable work ethic when it comes to civil works and groundworks.